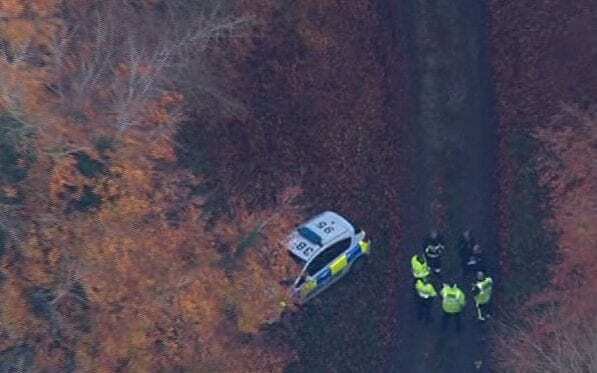 Four people have been killed in a mid-air collision between a helicopter and light aircraft flying from an airfield where air traffic control had been shut due to “staff shortages”. Members of the Rothschild reported hearing a “loud bang” and a plume of smoke could be seen above trees. 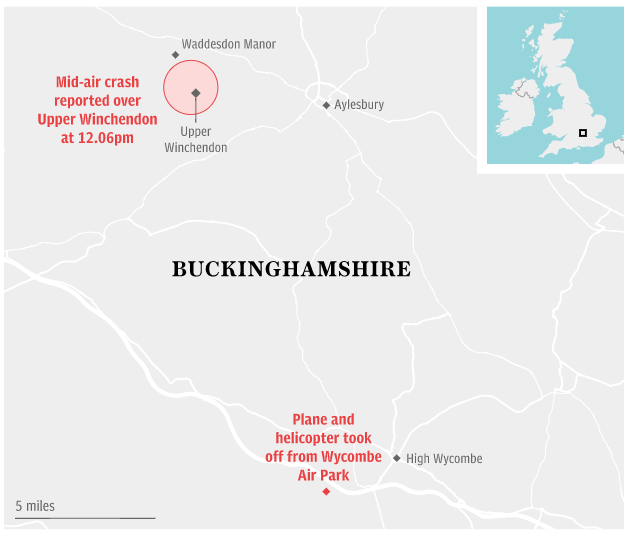 The Air Accidents Investigation Branch said the collision involved a helicopter and a two-seat Cessna 152 aircraft, each carrying two people, both of the craft had taken off from Wycombe Air Park, 23 miles away near High Wycombe. A Notice to Airmen was previously issued to warn pilots the air field’s air traffic control services would be closed during three 30-minute periods on selected days between November 7-30 due to a “staff shortage”. The crash occurred around half an hour after the latest closure was due to end. Off-duty firefighter Mitch Missen witnessed the crash from his garden. “I looked up and saw as both collided in mid-air, followed by a large bang and falling debris,” he said. “I rushed in to get my car keys and en route called the emergency services, who I continued to give updates as to its whereabouts. At least seven fire appliances rushed to the scene at Upper Winchendon and a fire brigade drone was launched over the fallen wreckage to spot any survivors. 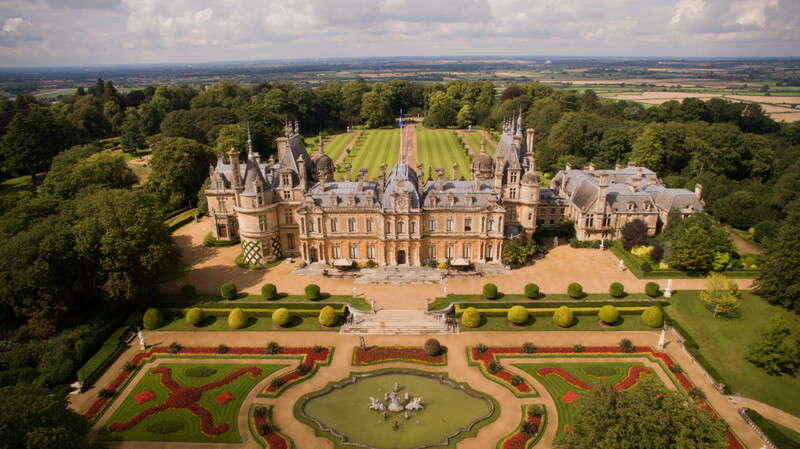 Staff from the Grade I listed Waddesdon Manor, which is managed by the Rothschild Foundation on behalf of the National Trust, helped direct emergency vehicles as police threw up an extensive cordon around the area. A member of the Rothschild family said the collision missed her by five minutes. The woman, who did not want her full name published, said she heard a loud bang while she was driving her car to a dog grooming event, near Waddesdon, in Buckinghamshire. Just five minutes earlier she had been picking a plant in the Wilderness Woods, the scene of the crash site, on the Waddesdon Estate. 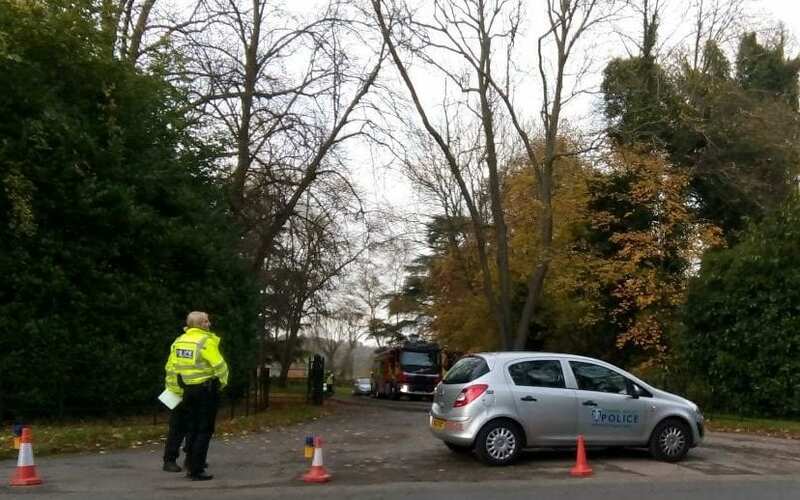 Waddesdon Estate Gardener, Len Bellis, described how he found the “burning wreckage” minutes later and discovered he was just 10 yards from a body in the undergrowth. Mr Bellis said one of them told him he heard a plane “stuttering” just before the crash. “I just came across the wreckage,” said Mr Bellis, who described the light aircraft as a “wreck” and “non-existent”, apart from the 5ft burning fuselage. The crash is understood to have involved a Cessna 152 which had suffered substantial damage to its landing gear, propeller and engine covering during a previous crash as it was taking off at Bodmin airfield, in Cornwall, in July 1993. A report by the Air Accidents Investigation Branch shows the pilot admitted the accident was caused by his “misjudgement and lack of experience”. Built in 1982, it is owned by Airways Aero Associations, which is based at the air field, and had been flown for almost 14,000 hours as of May. 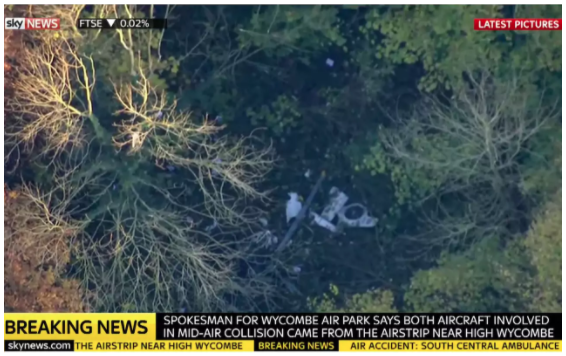 A spokesperson for Wycombe Airpark said they were unable to comment. As wreckage came near the village of Upper Winchendon down residents feared for the safety of their loved ones, with many stepping forward to offer assistance to the emergency services..
Around 200 light aircraft fly out of Wycombe Air Park, including rotary wing and vintage aircraft such as Tiger Moths. The base offers lessons as well as storage for private aircraft. Waddesdon Manor was purchased in 1874 by the famous banking family the Rothschilds. The manor, which is a popular wedding venue and visitor attraction, is owned by the National Trust and managed by the Rothschild Foundation, chaired by Jacob Rothschild, 4th Baron Rothschild. It boasts 6,000 acres of farm and woodland and is one of the National Trust’s most visited properties, with over 390,000 visitors every year. The crash happened ahead of its evening outdoor Christmas light show event for families. Waddesdon this year won Visit England’s Large Visitor Attraction of the Year category in 2017. Several films have been shot at the estate, including Carry On movie Don’t Lose Your Head and The Queen, starring Helen Mirren. Several members of the Rothschild family still live on the estate; but not in the manor itself.